Go to official website of www.bseap.org or Direct link given below. FIRST LANG : TEL – TELEGU , HIN – HINDI, TAM – TAMIL , KAN – KANNADA , MAR – MARATHI , URD – URDU , ORI –ORIYA ,ARA – ARABIC, PER – PERSIAN, SAN – SANSKRIT . 6. Candidate (Regular/Private) should preserve this Hall Ticket for any further future correspondence. 7. Wherever the photo is not printed /manually written hall ticket is received, the H.M. has to affix photo of the candidate under his or her attestation duly affixing the school stamp. 8. IMPORTANT: OMR Bar Coding is extended for all papers – SSC, OSSC and Vocational SSC. 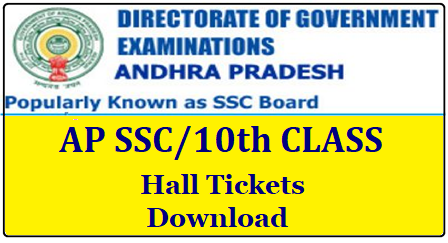 Before the commencement of examination candidate will be supplied Main Answer booklet having 4 pages and printed Bar Coded OMR Sheet having details of Candidate and that day’s examination. The candidate must verify the particulars printed on OMR sheet with his/her particulars such as Roll Number etc., and Staple it, if it belongs to him/her to the main answer book as indicated. In case of discrepancy, he/she should bring it to the notice of the Invigilator and obtain correct OMR Sheet. Then he/she should start answering. Please don’t write Roll Number on any page of Main Answer book, Additional answer book, Map, Graph Sheet and Bit Paper. He/she should write main answer booklet serial number on Graph sheet, map and Bit Paper.